So far, Adrienne's crew is up to three and she's going to need a lot more if she's going jumpstart her quest for vengeance. 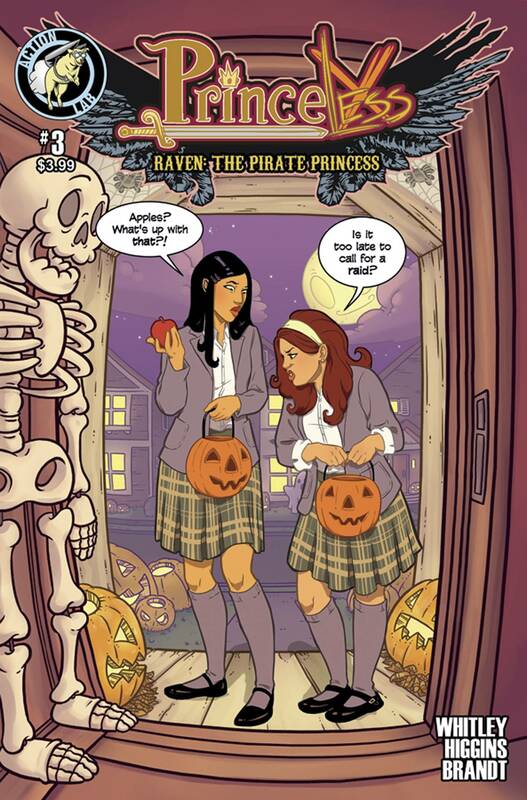 Katie and Sunshine head out to recruit a crew, while Raven goes looking for a navigator. Unluckily, her relationship with this navigator is...complicated. Will she recruit her or will she end up on the wrong end of a drawing compass? Variant cover limited to 1500 copies!